Ford Capri Mentioned on Radio 2. The show should be available on the BBC iplayer if anybody is inclined to listen. 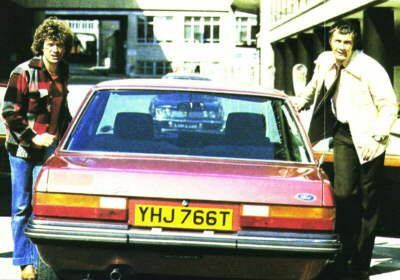 Re: Ford Capri Mentioned on Radio 2. But why does everyone have a 3 litre with the old slabs in the boot thing. pbar wrote: But why does everyone have a 3 litre with the old slabs in the boot thing. Andrew 2.8i wrote: I thought I'd mention it here as it's nice to hear a mention or two of our beloved Capri on the radio or TV. Even if those Capris were laden with building materials. Did I tell you chaps, our old milk man had a 3.0 Capri and get this he used to put crates of milk in the boot to stop its back end 'floating' !! And our local farmer in North London also had a 3.0 Capri and he put bags of peat in the boot to stop it wagging its tail !! AND.....our postman used to have a 3.0 Capri too and he used to load up the boot with sacks of mail he took home...to stop it doing the foxtrot in the rain !! ANNNDDDDDD our local priest used to have a 3.0 Capri and he used to stack up the boot with cases of Holy Water to help stop the back end straying !!! Perhaps that's just it, everyone back then was a builder's merchant. 'I've got those concrete slabs in the boot you ordered mate'. And I think Nick has been possessed by the spirit of Bob Monkhouse! Let me out, that is an order!